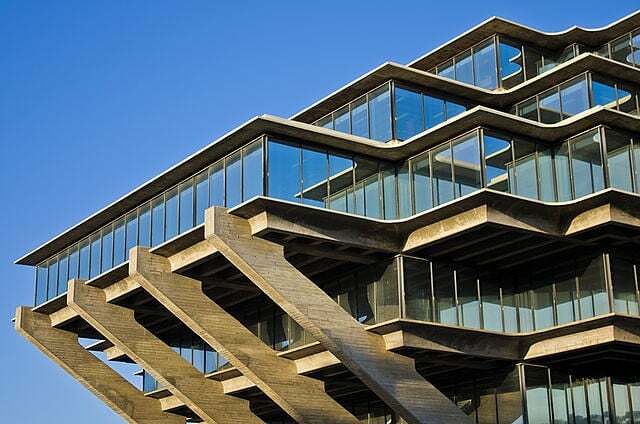 UCSD received a record 89,169 freshman and transfer applications for the class entering Fall Quarter 2014, which marks the third-highest number of applicants out of the 10 UC campuses. For Fall Quarter 2014, UCSD received 73,356 freshman applications and 15,813 transfer applications. Freshman application statistics showed an increase of 8.8 percent from last year, while transfer applications increased by 5.8 percent. The average high school GPA for freshman applicants was 3.79, and the average SAT scores for Critical Reading, Math and Writing were 591, 644 and 607 — up from last year’s GPA of 3.77 and SAT scores of 583, 635 and 595. The average transfer applicant’s GPA rose from 3.35 to 3.37 as well. While the most popular majors selected by freshman applicants include engineering, biology, and social sciences, almost 50 percent of transfer applicants selected a social science. The newest UCSD major, public health — which has been offered since Fall Quarter 2013 — was selected by over 900 freshman and transfer applicants. Fall 2014 freshmen applications also displayed a 6.1-percent rise in historically underrepresented student applications. Native American freshman applications increased by 19 percent from last year. Underrepresented transfer applications also rose by 13.8 percent — 4.3 percent more African American applicants, 20 percent more Mexican American, and 9.9 percent more Latino applicants. First-generation transfer college applications also increased by 9 percent, and the number of low-income transfer applicants increased by approximately the same amount. UC campuses also continued to see more women than men among freshman and transfer applicants; UCSD applicants recorded 50.9 percent females, 47.8 percent males and 1.3 percent declined to state. The overall volume of applications for Fall Quarter 2014 increased by 4.9 percent from Fall Quarter 2013, with a new record high of 183,272 applicants total. The entire UC system marked a 6.2-percent increase in freshmen applicants and a slight 0.5-percent decrease in transfer applicants. The majority of transfer applicants are from California community colleges. According to Interim Vice Chancellor of Student Affairs Alan Houston in a UCSD News Center release, attracting more transfer applicants is a top priority for UCSD. The UniversityLink program, designed to allow low-income, high-achieving regional community college students guaranteed admission to UCSD, will be relaunched for Fall Quarter 2015 enrollment. Participating community colleges include those in San Diego County and Imperial County.